Helpful Articles and News - Cash Control Business Systems, Inc.
October 2015: EMV Deadline in the U.S.
October 1st, 2015 is the date set for changes in the U.S. regarding which party (merchant or processor) will be liable in credit card fraud cases. In Europe and Canada it has already been implemented and is proving itself to be a viable way to eliminate issues in "card present transactions". 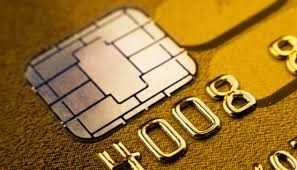 The new technique is called dipping, as opposed to swiping, where an indicator light will come on once the card has been approved. The cards in the US will have both strips and chips for the time being, so the traditional swiping method will still be around for the foreseeable future. The specific requirements for each of the major credit card brands is different, but they all require EMV hardware to be in place and operational to avoid liability. “Ensure that all system components and software are protected from known vulnerabilities by having the latest vendor-supplied security patches installed. Install critical security patches within one month of release." Since Microsoft will stop putting out security updates for XP after this date, any users still on XP technically won't be able to have the "latest vendor supplied security patches". This means you will have to upgrade your back office computer (and any registers swiping credit cards), to a more current OS such as Windows 7 or 8. As a courtesy to our customers, we will be providing some helpful information to determine who is affected and how they can beat the compliance deadline. Check out the PDF attached below for more information on the PCI-DSS regulations, or give a call at (314) 427-6143. 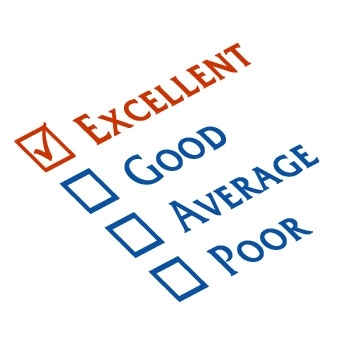 We'd be happy to look over your system, give a compliance evaluation, and upgrade any equipment necessary to make sure your business is fully protected. 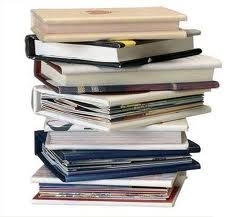 Here is a link to the PCI Compliance Guide's website that has a lot of useful information, including the penalties for non-compliance, as well as common myths and frequently asked questions. As word spreads about the Windows XP deadline, Cash Control Business Systems has been proactively contacting our remaining XP customers one on one to formulate a personalized plan to get them switched over so they won't have to rush as April approaches. If you have any comments or suggestions, please give us a call. Instead of dealing with overarching issues like the effects of global warming or the best path to a cancer cure, today we will deal with an issue that’s closer to home and our work place. It’s an incontrovertible fact that the viable life of Windows XP has come to an end. 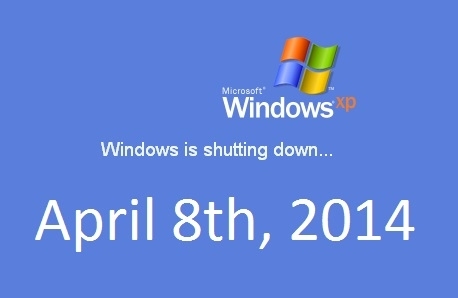 Even the date its demise has been set: Microsoft will pull the plug on Windows XP April 8, 2014. After that date there will be no more security updates. To sum it up, there will be no more support for Window XP. When Microsoft stops providing patches for Windows XP, that operating system will be extremely vulnerable. Hackers are already salivating at the opportunity to take over unsuspecting computers. When they find a zero-day or other flaws in the operating system, they will have access to millions of these old XP computers. Notice that I say “when” rather than “if” because it is only a matter of time before exploits will be found. Since there will be no patch from Microsoft, anyone who continues to use Windows XP after April 8 will be at the mercy of hackers and in grave risk of having their XP computer seriously compromised. No firewall or anti-virus software will give them adequate protection. In its heyday, Windows XP was the world’s most popular operating system. Many corporations computerized their systems with Windows XP and an enormous amount of proprietary software was developed for it. At one time Windows XP had an installed user base of more than 800 million computers. Windows XP is still running on 39 percent of the computers currently in use as of this writing. Even if the Windows XP base sinks to 10 percent of what it once was, hackers will still have millions of computers to target. Hackers have a “the more, the merrier” mentality. They always target operating systems that have a large installed base. The flimsy security of Windows XP and the lack of official support after April will ensure that hackers will be working diligently to break into these systems. Remember that while the security built into Windows XP was state of the art when it was released in 2001, Windows XP is now a rickety 12-year-old operating system. Even though security was increased with Service Release 2, it cannot compare to the security provided by Windows 7 or Window 8. For both individuals and organizations, there is a cost and time investment in migrating to new computers. However, the alternative of having insecure computers is not an option. Those who continue to use Windows XP after the termination date, will face even higher costs and time investments when their computer systems are compromised—and if they are connected to the Internet, they will be compromised in short order after the April 8th date. It’s not just the Windows XP operating system that’s going to be vulnerable to hackers. Many, if not most, applications running on Windows XP will no longer be supported by the application vendors because it won’t be economically worthwhile for them to keep supporting programs written for such an outdated operating system. Unfortunately, some companies are taking a dangerous wait-and-see attitude regarding the migration to Windows 7 or Windows 8. A joint study of more than 750 respondents by research firm IDC and Flexera Software showed that approximately half of the respondents had completed less than 75 percent of their migration. Only a minority of organizations have completed their migration. Even more surprisingly, a Camwood survey of 250 IT decision makers from companies of more than 2,000 seats show that less than half of large U.K. organizations have started the migration away from Windows XP. Those who are taking the “if it isn’t broken, don’t try to fix it” attitude will quickly find that after April 2014, Windows XP will be broken and will need to be fixed. Moving to Windows 7 or 8 now is a far better economic proposition than putting off the inevitable until the spring of 2014. In addition, these newer versions of Windows will provide better overall security as well as the ability to implement some of the latest technologies including BYOD, consumerization of IT, always-on, and easier migration to the cloud. It’s easy to blame Microsoft for stopping Windows XP support. However, it has supported it for 12 years which is an astonishingly long time to keep supporting a software product. Microsoft actually extended its normal 10-year product lifespan by two years for this product. If your organization hasn’t yet started or completed the migration to Windows 7 or 8, you need to stop right now and assess your progress or lack thereof. With the amount of proprietary software written specifically for Windows XP and the length of time that it was in use, migrating to a newer operating system will be lengthy and problematic for some organizations. Outside expertise may be needed. We’ll be covering XP migration and aspects of what to assess over the next few weeks to help you take the necessary steps to make the change. There are many options available, including Dell which provides end-to-end device and operating system migration for organizations of all sizes. Make the move now because waiting until April 2014 is sure to put a bigger drain on your company’s finances and an added stress on both your IT and executive staff. Microsoft has surely come a long way from the days of DOS. From desktops, to notebooks, pocket PC's, and phones, Windows OS has molded the computer industry and served as the cornerstone for IT world. But as the world's needs continues to change, so too must the techology and the devices to support it. Cash Control Buiness Systems is now proud to add Windows 8 tablets to the supported list of devices running Maitre'D. 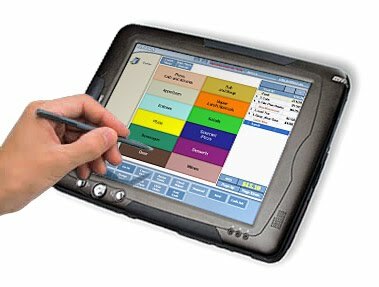 Best of all, Windows 8 tablets run Maitre'D POS natively, which reduces the previous requirements and cost of POS tablet solutions for unprecedented affordability. To find out more about Windows 8 tablets, contact our offices and schedule a demonstration of these unique devices. Let us show you how Windows 8 and Maitre'D can help your business grow and adapt to the ever changing restaurant service market. The hospitality market is one of the fastest moving sectors of the business worlds. Business owners are constantly pushing the boundaries of what's possible in this rapidly developing field. Every day, owners are looking for new ways to expand profits, improve service, and stay ahead of the ever-changing technology trends. A revolutionary trend that is changing the service world is the new development of mobile POS solutions. Mobile POS solutions allow orders to be placed, modified, and closed directly at the table with the customer present. Writing orders or making trips to crowded terminals are no longer necessary with this new technology. Servers can place a customer's order at the table or bar, directly with the customer, improving the overall customer experience, reducing order processing time, and eliminating delays and losses due to service errors. Maitre'D offers true mobile solutions via Apple iPad or iPod Touch to allow servers, bartenders, cashiers, and vendors to process sales using a mobile handheld without a conventional terminal. 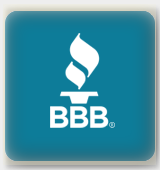 Cash Control Business Systems is proud to be one of the first companies to be a pioneer in this field. With Maitre'D, restaurant owners know that they have the latest technology to thrive in the rapidly changing service environment. Let us show you why so many restaurant owners and businesses are switching to this new technology. Contact us today to see a demonstration of what mobile POS solutions can bring to your business. Cash Control Business Systems and Posera Inc are proud to annouce that Maitre'D now supports using iPads and other Apple iOS products as terminals. This breakthough in mobile technology allows almost infinite possibilities for end-users of Maitre'D software. Mobile Apple devices run wirelessly, and allow users to operate the POS system almost anywhere. In additon, Cash Control Business Systems is proud to annouce support for a large number of devices to interface with the iPad, including wireless printers and CVMs. In short - anything a terminal can do, an iPad can do. Call us to schedule your demo of the iPad today! I'll be uploading training documents in the coming days to help customers better understand their system. (Info on how to change prices, cancel check, End of Day, etc.) Click here to go to our download page. Client testimonials are now live, click here to check out some of the raving our customers do about us!